It’s an exciting time to be a volcanologist, particularly if your specialty is volcano geodesy. Volcanology is in the midst of a revolution, and geodesy is helping to lead the way. Faster than ever before, new technologies and techniques are changing our understanding of how volcanoes work by revealing how they behave — before, during, and after eruption — in unprecedented detail. Capabilities that would have seemed far-fetched just a few decades ago — such as watching volcanoes deform from space, tracking the rise of a magma-filled dike in real time, or predicting eruptions accurately and early enough for people to move out of harm’s way without unduly disrupting their everyday lives — are fast becoming realities. 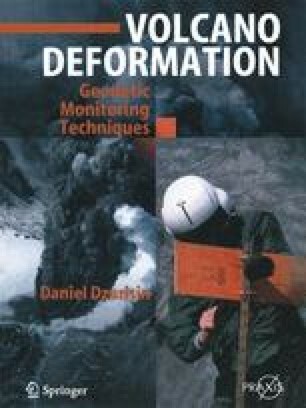 I wrote this book because I wanted to share my excitement over these advances, not only with serious students of volcanology but also with anyone who has admired the beauty of a snow-capped volcano or marveled at the raw power of a volcanic eruption.